The Vol. 1, No. 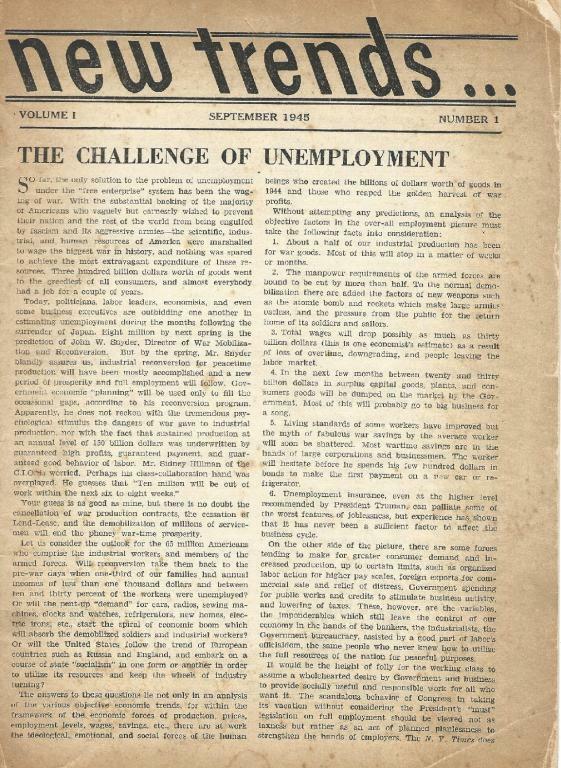 1 (September 1945) issue of New Trends, an anarchist publication produced out of New York City from September 1945 until August 1946. -The fate of international labor by S.A.
-Books of today by J.W. -Is World War III inevitable?